Chromebooks' five-year end-of-life policy—if it holds up—could put a lot of perfectly good laptops out of commission. When I found out that Google plans to retire most Chromebooks after just five years, my thoughts raced to the Samsung’s Series 5 550 I bought four years ago. By Google's clock, this computer has a year left to live. I couldn't believe it'd all end so soon. I bought the Series 5 550 while hopped up on the idea that all I needed from a computer was a web browser. At $450, it was pricey compared to what Chromebooks cost today, but fairly cheap for a laptop at the time. And while it wasn’t a Windows PC—like all Chromebooks, it can’t run desktop software—it compensated in other ways. It had a generously sized trackpad, for instance, and the same kind of island-style keys you’d find on a MacBook. Its speakers were surprisingly rich. The display had a 16:10 aspect ratio that showed more webpage (vertically) than your average widescreen laptop. The biggest selling point, however, was Google’s promise that Chromebooks don’t detiorate with age. Windows PCs famously get "bit rot" as they become weighed down by an accumulation of installed software, drivers, and files. If anything, Chromebooks are supposed to get better over time through routine software updates. 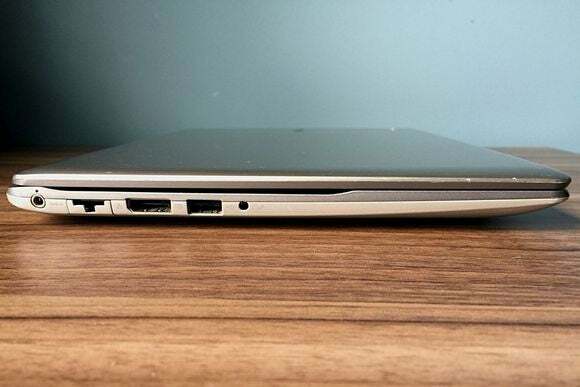 When Chromebook updates cease, however, an aged model like mine might be no better than an aged Windows PC, and could also become vulnerable to unpatched security holes. At that point, Google recommends disposing of the device and getting a new one. But I'm not ready to let go, and neither is my Chromebook. In many ways my Chromebook is better than it was when I bought it. Here's how. To find out how Chromebooks hold up over time, I started by giving my system a full wipe, or “Powerwash,” as Google calls it. That’s no big deal with Chrome OS, because the system emphasizes storing your work in the cloud instead of locally. The laptop has just 16GB of storage to begin with, only half of which is usable, and Google Drive is built into the file browser, so it’s easy to avoid leaning too heavily on system storage. Meanwhile, Chrome OS syncs all your apps and bookmarks from Google’s servers, so wiping the machine still leaves you with the same setup you had before. After wiping the Chromebook, I ran some benchmarks. 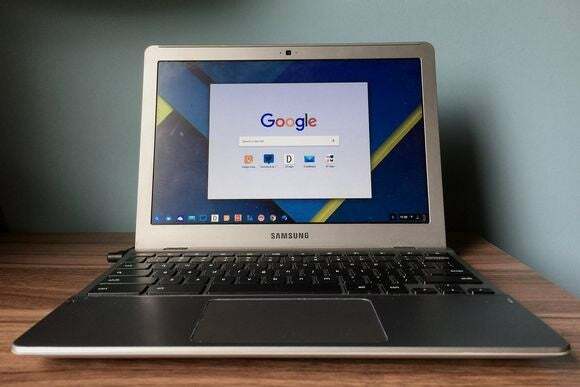 The Series 5 550 performed worse than recent mid-range and high-end Chromebooks—no surprises there—but it held its own against today’s low-end Chromebooks in certain benchmarks. In real-world use, I have no complaints. While drafting this post in Dillinger.io (an online Markdown editor), I didn’t notice any delay or unwanted tab reloading when switching to other apps such as Slack, Gmail, Tweetdeck, and the PCWorld homepage. Webpage scrolling didn’t produce any excessive choppiness, either. My Chromebook still boots up quickly as well, taking about nine seconds to reach the login screen, and roughly another five seconds to reach the desktop. Although Google and its hardware partners have produced much more powerful Chromebooks over the years, I’ve yet to see many use cases where that power is necessary. For the most part, Web-based apps in 2016 have the same performance demands that they did in 2012, so the Series 5 550’s 1.3GHz Celeron processor and 4GB of RAM still feel adequate. Meanwhile, Google has refined Chrome OS in a few noticeable ways. The app launcher got an overhaul last year, with a larger menu that provides quick access to recently used apps. An “immersive mode,” which arrived in 2013, lets you go full-screen without losing the ability to switch tabs. The bottom shelf also acts as a proper app dock now, letting you switch between open instances of each web app instead of merely opening a new tab every time you click the app icon. Overall, Google has made good on its promise to improve Chromebooks over years of ownership. The only major features I’m missing out on require hardware that didn’t ship on the Series 5 550. For instance, my Chromebook doesn’t support Bluetooth, which means I can’t set up a paired Android phone as a “trusted device” to bypass the lock screen. And because the Series 5 550 doesn’t support touch, I can’t use pinch-to-zoom or scroll by swiping on the screen. The Series 5 550 may not have the latest hardware, but it does have an ethernet port, and a full-sized DisplayPort for some reason. More importantly, the Series 5 550 isn’t on the list of devices that will get Android apps through the Google Play Store. This is reportedly a technical limitation, as Google is relying on a specific feature within newer versions of the Linux kernel, which the Series 5 550 doesn’t run. 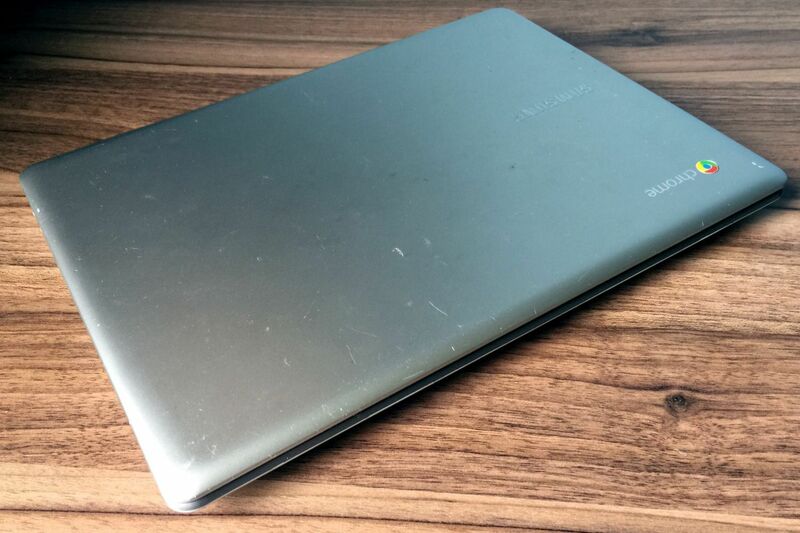 Admittedly, my gusto for Chromebooks has faded somewhat over the years. In 2014, I bought a Surface Pro 3, hopped up on the notion of laptop-tablet hybrids, and it’s become my primary travel computer when I’m away from my desktop. Still, my old Chromebook remains useful as a lightweight browser machine. The only thing it could really use is a replacement battery to restore the couple of hours' worth of runtime it’s lost over the years. (It started out getting roughly five hours; now it gets closer to three.) In theory, my Chromebook should continue to fulfill its core purpose for a long time. Well-worn on the outside, but still ticking on the inside. Whether that actually happens will depend on whether Google and Samsung find a way to keep delivering security updates beyond the guaranteed five-year timeframe. Google told me the company was working with hardware partners to extend updates beyond Chromebooks’ official end-of-life dates, but so far the company hasn't made any promises. All of which leaves me with a certain amount of anxiety about Chromebooks. While I could certainly argue that I’ve gotten my money’s worth over the last four years, I’d hate to retire a device that’s clearly not ready for it.